We live in a culture where labels come with a negative connotation. Fear of being boxed in or misrepresented runs through everyone as tags seem to be attached to them. Every person is unique and different and labels are thought to remove this uniqueness. But sometimes those labels spin around into something miraculous. Rather than acting as a confining limit, it opens doors that give freedom and fuel the unique person that we are. INFJs know the power of such a label. We are well aware of what it is like to feel boxed in, cornered, lost and alone. While draped daily in the uniqueness which so many crave, the INFJ longs to be just like everyone else. That is, until they discover their label. Four simple letters given through a basic Myers-Briggs Personality Test become the label to which so many INFJs cling. It tells us we are unique, but that is not the piece that matters, simply a fact of which we have always been aware. Instead, that label defines everything we could never define for ourselves. It tells us that we are not broken or insane and leads us toward everything we always thought was missing. Explanations, guidance and camaraderie are just a few things gained from this basic label. In most cases, the description of an INFJ will not fit everyone 100%, but it still usually offers us a lot of information for which we have spent the majority of our lives searching. Never does this label cause us to feel boxed in or stereotyped. We are all still ourselves, in our own unique ways, with personal interests and talents which no four letters can define for us. But now each of those pieces of ourselves can be set free. We can flourish with pride and positivity, having the full understanding of who we are and what makes us so special. Some may find their Myers-Briggs Personality Type confining and prefer to scoff at the peculiar system of measurement and classification of any human being. But not the INFJ. The INFJ label is not a confining prison. It is the key which sets the soul free. To an INFJ, those four little letters are life-changing. You said this perfectly. When I realized that I was INFJ, I found this magnificent sense of peace that I'd never had before. I was weirdly myself and it was okay. I agree. It was as though I finally had permission to be who I am and not try to change myself to fit everyone's perception of me. I'm not alone in this cruel world.Extremely happy to know this. This is exactly how I felt. It was like…Okay, my life just got explained to me in four letters…. This is perfect. As Chris said, realising that I was INFJ made me very emotional. It's so good to know that I'm not the only one, but that it's just a very rare personality type. It explained everything for me. And I love it. Since my discovery, I have grown as a person, and I have never felt better. When I found out that I am an INFJ, it definitely helped me to understand why I feel so different from other people. Having the rarest personality type can be kind of lonely though. But I'm still extremely grateful to have found out that I'm not alone – that I do fit into a particular category of personality types!! Absolutely. Within a few hours of discovering I was INJF I was more at peace than I think I have ever been. As I was pondering the implications of my personality type, EVERYTHING began making perfect sense and instead of feeling weird and unwanted I suddenly found myself feeling proud and extremely motivated. The biggest gift in my life has been to discover, I'm an INFJ. Who should have thought four letters would mean so much. I'm 22, and I have been wondering whether I was bipolar – but after I have read about INFJ so much make sense to me. My girlfriend think I'm ridiculous for even caring about it and spending a couple of hours on Google, but WOW! I only learned I'm INFJ a few weeks ago, and it all makes so much sense now, or at least it's going that way, as I look over my life and being (again!) with a new understanding. It also explains why I was so reluctant to take the MB test for so many years – I was afraid of anything that would attempt to pigeonhole me. Now I wish I'd done it years ago, while having a new understanding of why I didn't. I just found this out about myself. I am also an HSP. Hyper Sensitive Person. Years and years of feeling rejected and alone has created some very destructive addictions for me to alcohol, pornagraphy and dependency. I cannot maintain a relationship, which has led me to even darker depths of loneliness and despair. I function in society, with my job, my family and friends, and no one has any idea of the battle that has been going on. I am craving to be loved and accepted! I have withstood abuse of all kinds, just to get that one moment of affection and approval that I'm okay. I still do. Knowing this about myself is so helpful, but I have yet to be free of the damages. Counselling? Group Therapy? Medication? I don't know. It may help. I feel a voice inside of me, telling me to give it all to God. Let the Love of Christ fill that insecurity and neediness. Let Him take my burdens and free me. I believe it is the only way to end this loneliness, and cleanse me of the damages from being an INFJ. If there is anyone who has given their life to Christ, please pray for me that I may have the strength to surrender. I've been fighting way too long and don't believe I am worthy of any Grace. First of all, let me say that I am a born again believer and whole-hearted follower of Jesus Christ as my Lords and Savior, and what some would call a "reformed baptist" in doctrine. I have been and will continue to pray for you. 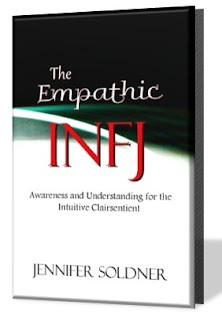 Understanding that I am an INFJ has helped to make me understand myself better, but you are right. It is not a cure all. There are so many ways that we can not go back and undo the damage that is caused by the consequences of past mistakes and sin. I was so very blessed to be raised in a home where the Saving Grace, Love and Sacrifice of Jesus Christ as the only means to true and lasting peace for our hearts and souls was taught from an early age. God gives His grace, love and redemption to His children freely and without any prompting on our part. There is nothing we can do to earn it or grasp it for our selves. It is not in our strength that we are saved. From your comment, it seems as if the Holy Spirit is drawing you to Himself, awakening you to your need for what only He can give. It is not being an INFJ that causes the burden you are feeling, but our fallen sin nature. Everyone has this same basic problem, (a complete and total depravity of nature and separation from God,) not just one personality type. If you are greatly sensitive to the lack in and of yourself, that is a gift from God, making you aware of your need for His Grace. No one is worthy of grace. No one. Not an INFJ or any other personality type. Salvation, God imparting Holiness to us through the sacrifice of His Son on the cross for sins, does not erase the earthly consequences of our previous sins and choices, but it does free us from the burden of eternal guilt. It allows us to take what we know of who He is and who he has made us to be in Him and use it to make God glorifying choices in the future. My greatest advice would be to read the Bible. I know that Scripture is the unerring and unchanging Word of God. It is my rock and greatest comfort when I am struggling emotionally or with the circumstances of life. Emotions, feelings, and situations change. They come and go. They change with the tide, but God, His character and His word are sure and unchanging. They are my compos pointing me to eternal truths. This is my strength when all else fails. If you need or want suggestions for a local church where you can get biblical counsel and teaching, I'd be willing to give a few suggestions of where to start looking. Like I said above, I will be praying for you. That the Lord will draw you to Himself and give you the peace that only He can give. 1. When you lose a deep connection you had with someone (a very close friend) does this hurt you more than others? I have friends who weren't effected like I was when this person "left". 2. Can anyone relate to what I described above (about the specialness)? I found this and I didn't feel alone anymore. We may be the least common type, but at least we are a type! There are other people who feel my "strange kind of empathy" as I call it, and I'm not weird or broken for not being able to put up boundaries when it comes to other peoples' emotions. I'm not alone. None of my friends have ever felt things the way I do, so I've always been told that I need to learn to put up boundaries, my overfeeling has always baffled them. But this means I'm not alone. I am not alone. There are others like me out there. Thank you for that. Lovely way of putting it. Discovering that there were others, who shared my all in, complex and emotional nature was liberating. I wasn't overly obsessive or sensitive or strange. I'm a perfectly normal and healthy INFJ. I don't know if this will reach you but I will reply anyway. The answer to both your questions is yes. My biological mother has been in and out of my life, lying to me and then saying she loved me. It drove me crazy but I strove to be close to her. Then she left and we haven't spoken in over 2 years. I can't even put into words how hurt I was and am. It is still something I try to get over. Another example is a best friend of mine moved away over 5 years ago. We were like sisters. I still remember her. However, three years ago I tried to reconnect with her and she had no idea who I was. OUCH! None the less, yes. I have trouble letting go of those who walk away. As to your second question- yes. I was always the odd one. No one and everyone was my friend, if that makes sense. I had few friends that I actually connected with. I always felt set apart, as if I was meant to so something greater. I spent my youth locked in a figurative closet, this was my prison. 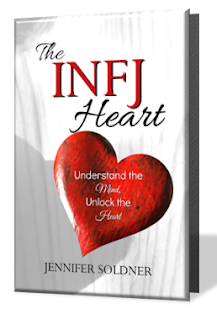 Discovering I was an INFJ was my freedom, this label was my key. Years later my brother suggested I tested wrong, in moments that closet door slammed shut and the walls crushed me. The sense of loss I experienced was profound, existence no longer mattered. I was small and insignificant, I had no purpose. It took awhile to regain my confidence that I know who I am, and I am an INFJ. However, it astounds me that this label is my anchor, my grounding. Without my label I am a leaf in the wind.